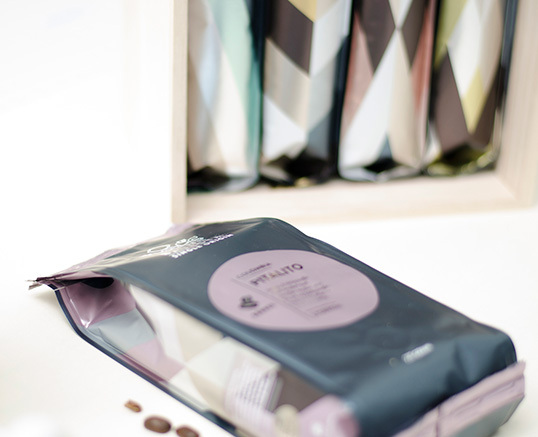 “Single Origin vs mixed products: Friele has changed their product line strategy and as a part of this we cleaned up the Barista line. 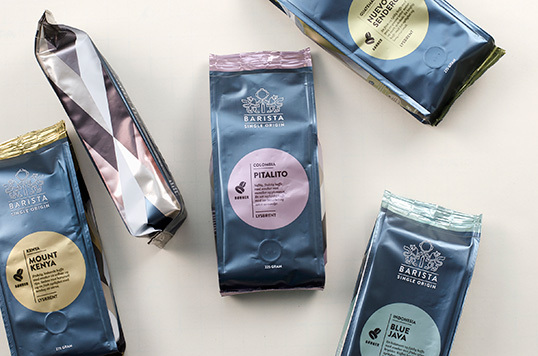 The old Barista line had both espresso and blends mixed in between the singles. By moving them out we made a stronger concept and a stronger and more logic product line by presenting single origin products only. The re-design mission: The old Barista had over time become a blurry mix of 8 different blends and grinds and roasts. The shelf impact was weak and the remote signals of each product could have been stronger. We missed a stop-signal from a distance. We missed the freshness signal whole beans represents. We missed the link to micro roasted products. 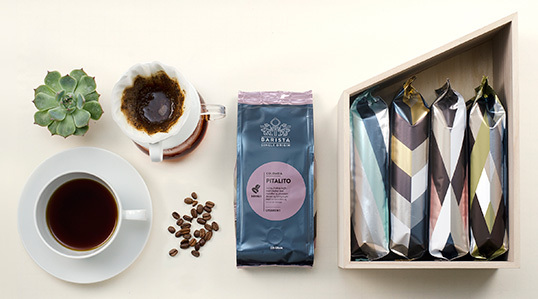 “A work was done on names and profiles – included new roasting profiles, cupping and new descriptions on each of the products. Beeing a fact- and knowledge based product we needed to simplify the language and make the names purely logic. Names = coffee mill and cooperatives. We used the micro roasters own coffee language. 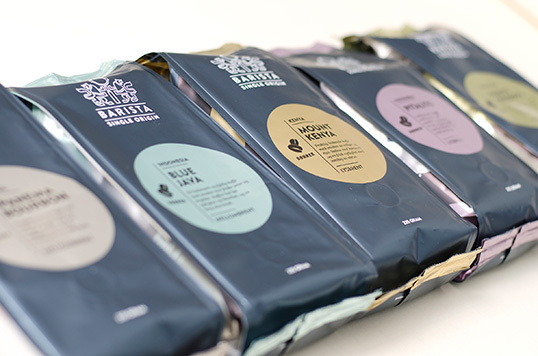 This is a true everyday single origin line at a nice price. The design has moved from a dark, continental monochrome to a fresh, scandinavian look.